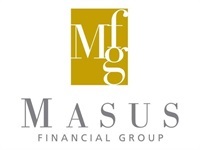 As it is related to our Mission Statement it is the goal of Masus Financial Group (MFG) to provide world class service to our clients. The foundation of that service is brought forth through integrity, experience and knowledge. We believe that long-term planning with our clients is founded in their own vision of their future aspirations and that vision creates their motivation both emotionally and financially. Clients can expect a holistic approach to their objectives. Our desire is to arrive at a clear and mutual understanding of the client’s objectives through discussion and an ongoing review and dialogue process. To help our clients work toward their financial goals, we practice the asset allocation concepts of diversification and use of the five major asset classes to bring that diversification and non-correlation into our client’s investment portfolios. We also believe that products offering guarantees especially in volatile climates can be integrated into portfolios in order to manage risk. The portfolios may include other assets outside of LPL Financial through direct business approved by LPL Financial. Investing involves risk including loss of principal. Asset allocation and diversification does not ensure a profit or protect against a loss.